Over the past 60 years disruption to the gut’s microbiota has been linked to everything from gastrointestinal conditions such as IBS and obesity, allergies, immune deficiencies, fertility issues, allergies, auto- immune diseases and higher rates of autism, Multiple Schlerosis, and so much more. Something clearly has gone wrong, and it seems the wealthier of us are the most affected. The parasites, bacteria and viruses that live in our guts (microbiome) need to be in balance; otherwise our health starts to suffer. And suffering it is. So what’s gone wrong? 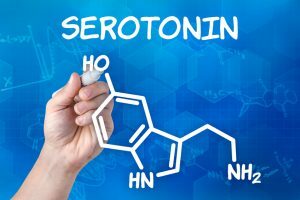 95% of your SERATONIN – a happy hormone, is located in your gut. This is why we feel emotions in our guts as well as our brain. Now an even stronger reason for ‘Following Your Gut’. So, by healing your gut you’ll be closer to healing your mind. Current research is suggesting that anxiety and depression are inflammatory conditions many times triggered or caused by poor gut health.